The American Health Council recently appointed Dawn Nahrstedt, DNP, APRNC, MSN, BSN, RN to its Board of Nurses. Currently serving as a family nurse practitioner at Rock County Hospital, Long Term Care and Clinic in Bassett, Neb., Dr. Nahrstedt provides high-quality and compassionate care to each patient she treats. While she has held that role for three years, she applies skills and expertise in nursing, chronic disease management, geriatrics and preventative care. She has spent the last 18 years evolving in the healthcare industry and has since administered outstanding and compassionate care. Determined to be an exemplary role model to her daughter by caring for others, Dr. Nahrstedt decided to pursue a career in the nursing field. She desired to seek a career that offered stability and countless opportunities. After researching several academic institutions, she enrolled at Creighton University and earned a bachelor’s degree in nursing in 2000. She remained at the university and pursued a master’s degree in nursing. After graduating in 2006 she worked in several Nurse Practitioner positions that made it possible for her to establish an excellent array of practice experiences which has provided a very strong base of both practice skills and education. Dr. Nahrstedt served as the director of hospice at CHI Health at Home in Lincoln, Grand Island and Kearney, Nebraska, in 2011. On her path to earning a Doctor of Nursing Practice degree she has worked in two rural healthcare clinics and critical access hospitals in Nebraska. 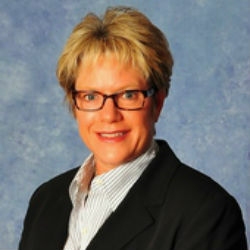 To continue to network and evolve with fellow nurse practitioners, Dr. Nahrstedt is a member of several associations, including the American Association of Nurse Practitioners, the American Diabetes Association, the Nebraska Nurse Practitioner Association of Nebraska, and the Gerontological Advanced Practice Nurses Association. Her professional repertoire includes a special feature in the Creighton University Magazine, where she participated in a documentary detailing rural healthcare during the summer of 2015. In her free time, she enjoys traveling, camping and spending time outdoors. She contributes to her community by serving as the county medical officer. She also serves as an advanced practice registered nurse preceptor. Dr. Nahrstedt plans to continue to excel in her profession and administer excellent patient care. 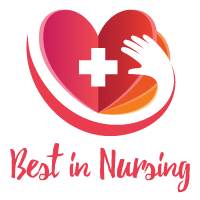 The Rock County Hospital, Long Term Care, and Clinic recognizes the value of every person, whether it’s a patient, family or employee and strive to continue our legacy of caring. The Rock County Hospital aims to maintain a professional healthcare environment that promotes ethical health, healing and a reputation of honesty, fairness, integrity, and trust. The facility follows its “LEGACY” core values: loyalty, enthusiasm, growth, awareness, compassion and you.